This ground-breaking book is a essential for anyone who is related to a man in any fashion. 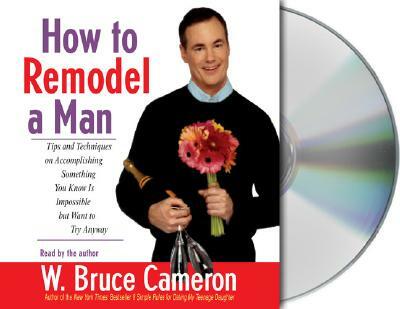 W. BRUCE CAMERON wrote a column on the Internet for friends that grew to 40,000 readers. The "Rocky Mountain News" hired him as a columnist, and he went into national syndication. He expanded the column into a book called "8 Simple Rules For Dating My Teenage Daughter." When the book became a "New York Times" bestseller, Bruce developed it into a TV show. He is working on the pilot for "How To Remodel a Man" for David Schwimmer and NBC. He lives in Los Angeles.